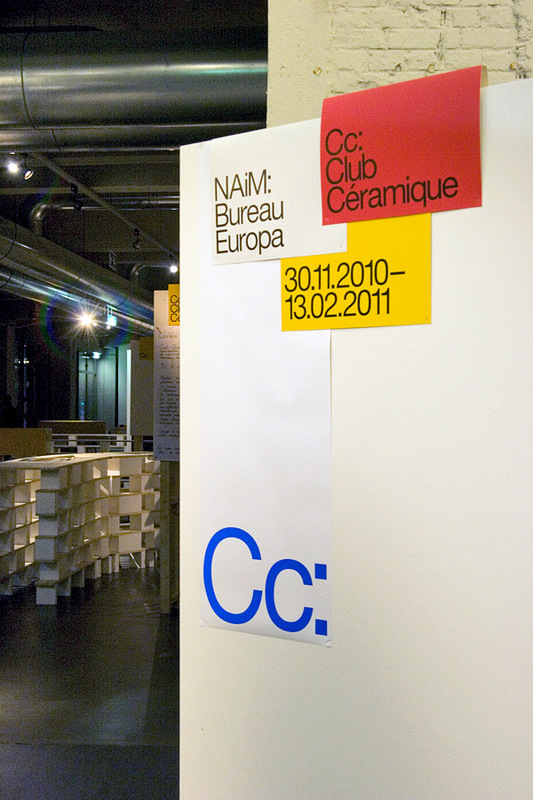 Between November 30, 2010, and March 27, 2011, NAiM / Bureau Europa hosted a huge public project, focusing completely on Céramique, an area in the city of Maastricht (and the district in which NAiM / Bureau Europa was situated). 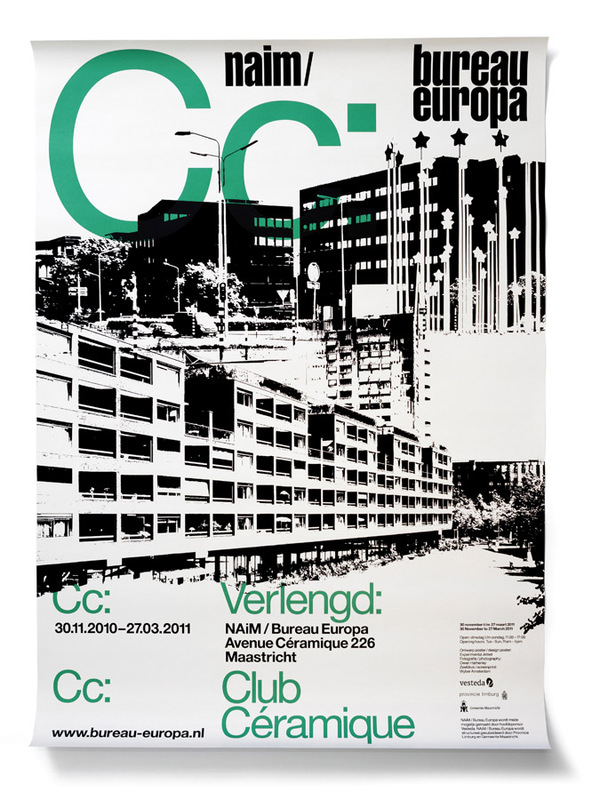 Titled 'Club Céramique', the project consisted of a large number of events and activities, which took place in and around the building of NAiM / Bureau Europa. 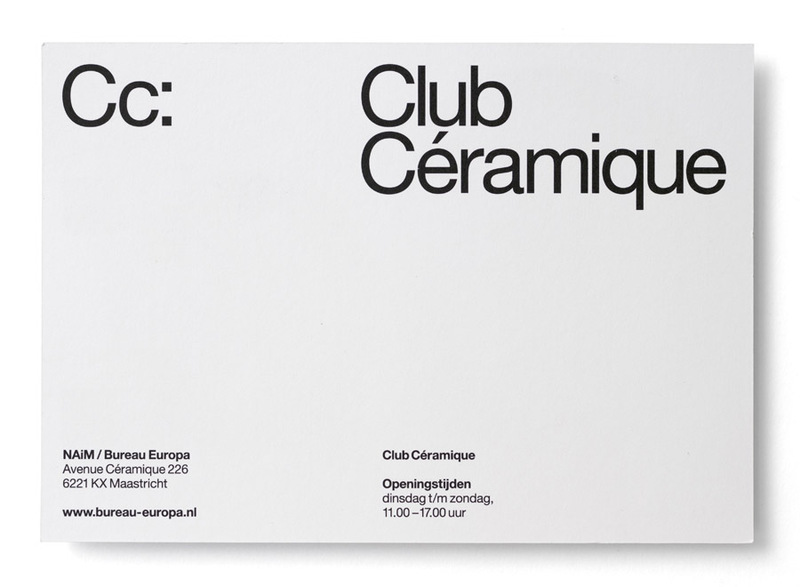 We decided not to design a single invitation, but a complete stationery: a set of A4-sized sheets, carrying a Club Céramique letterhead, offset-printed in different colours. 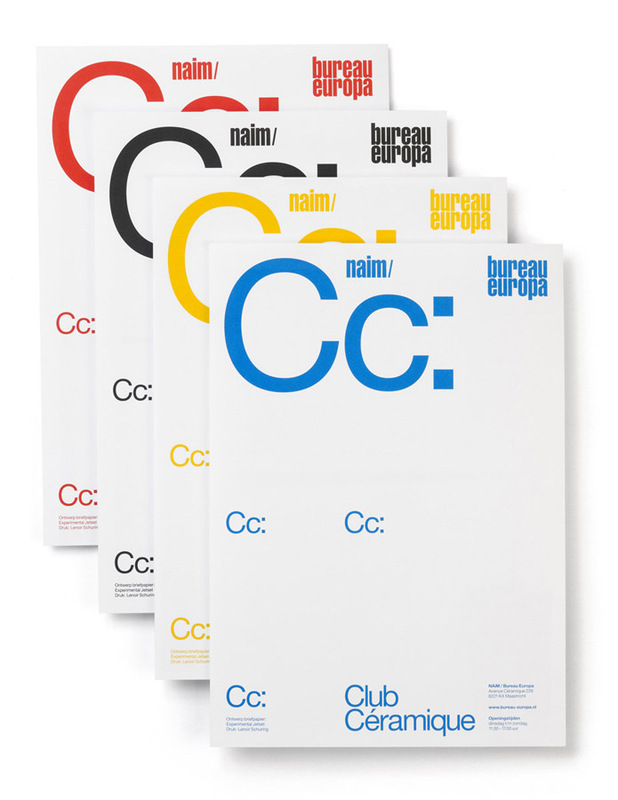 The staff of NAiM / Bureau Europa could then use these sheets as invitations, laser-printing all kinds of texts and images on it, to announce upcoming activities. 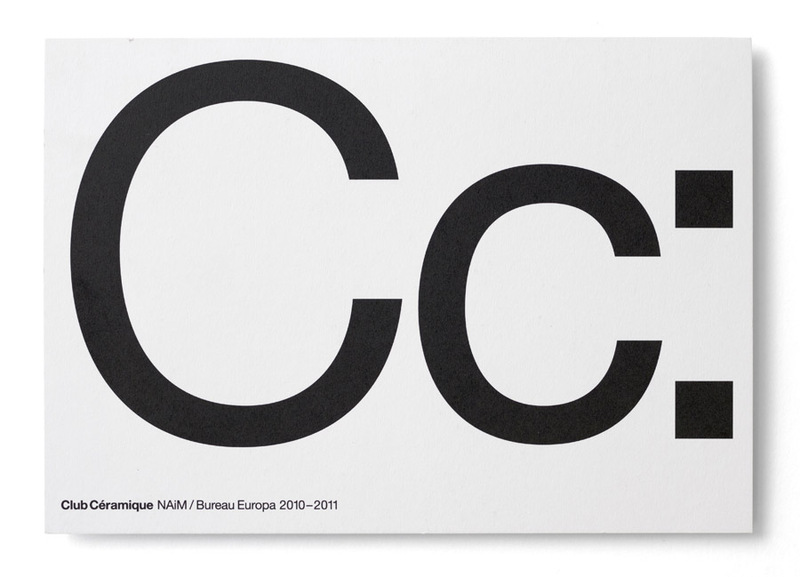 (And by folding the A4-sheet in half, it would even look like a more traditional A5-sized invitation). This was first of all a very practical solution – since the amount of upcoming activities was so huge, and most of them would be quite 'last-minute', we thought it would be easier if the staff could just produce these invites themselves. Besides, we also thought that this particular format (a typed letter rather than a printed invitation) would really fit the context. Since the people who were invited were mostly neighbours and inhabitants of Céramique, a series of personal letters would make more sense than an official invitation. 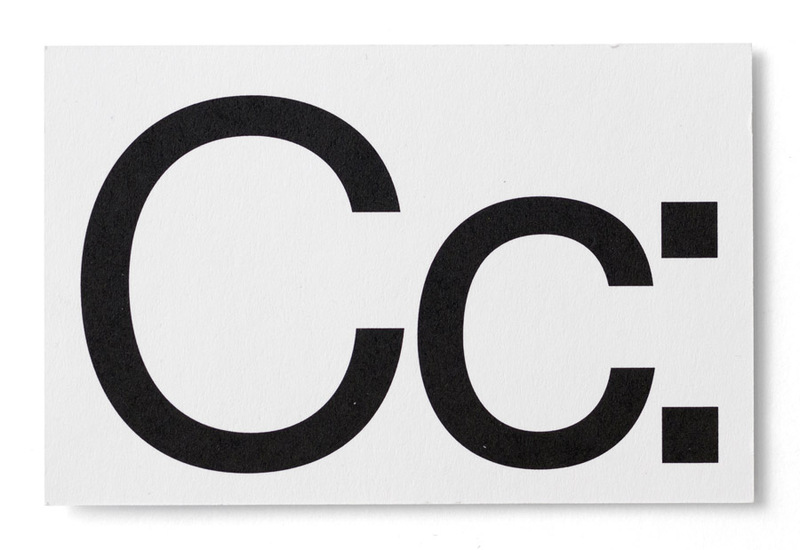 We then came up with the 'Cc' acronym, which also referred to this idea of a note, or a message – after all, 'Cc' refers to the 'carbon copy' tag in e-mails. 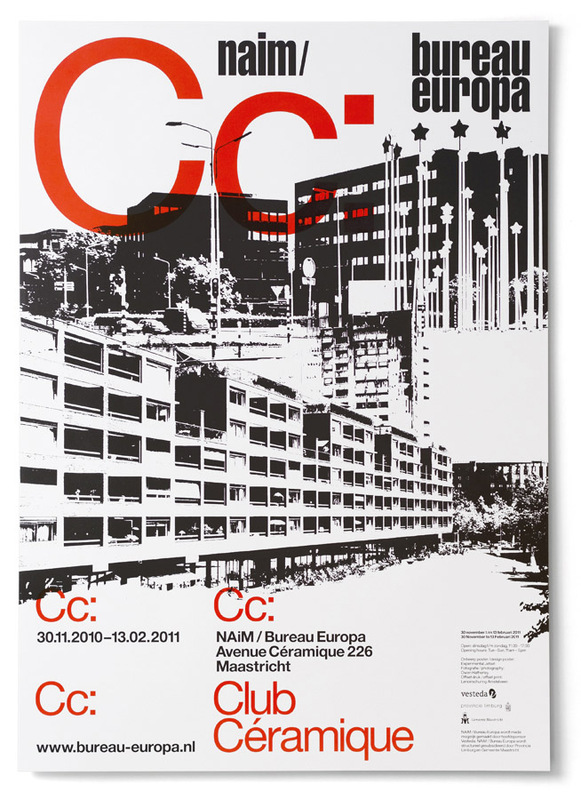 For the posters, we used two photographs showing particular sites located in the Céramique district. It is fairly atypical for us to use photographs on posters (we usually prefer a type-only approach), but this time we thought we could make an exception. When we first heard that the subject of the project would be the Céramique area, we remembered that Owen Hatherley, an English writer whose work we really admire (especially his book 'Militant Modernism', published by Zero in 2009), once visited the Céramique area, and published some photographs of that trip on his weblog. Looking at these photographs, we thought it might be interesting to incorporate these photographs in our designs. 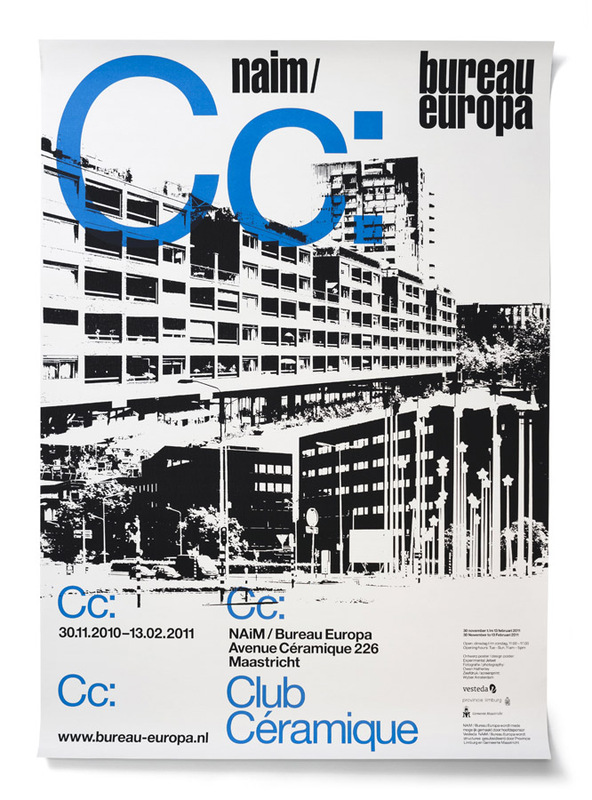 We kindly got Owen Hatherley's permission, and that is how these pictures ended up on our posters. However, we used these photos in quite a sombre, graphic (and collage/montage-like) way. 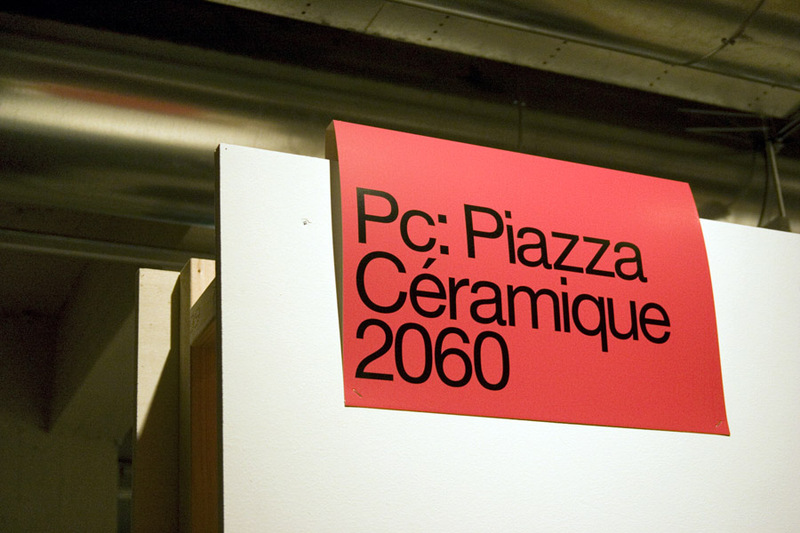 What we tried to do was to give the Céramique district, which is in reality a very slick and 'post-modern' area, a bit of a dark side, a bit of a grim modernist dimension. In fact, we tried to imagine already the ruins of these buildings. 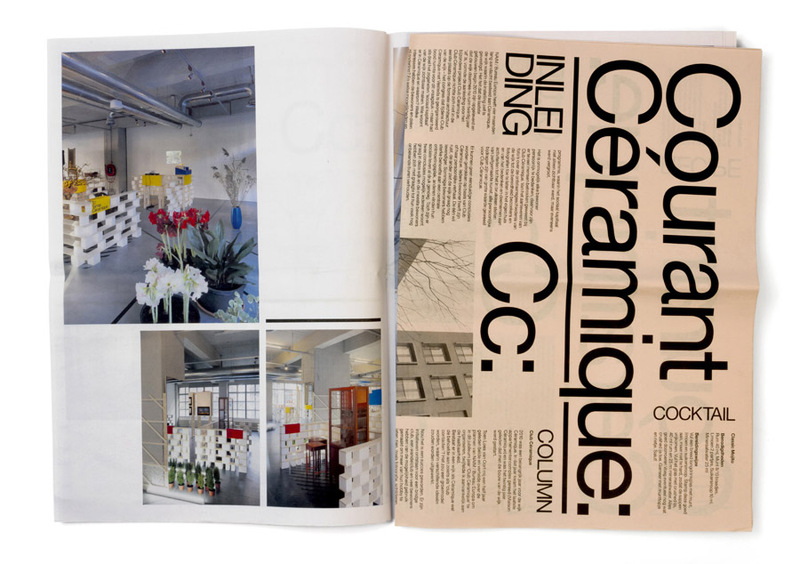 For the project, we also designed a newspaper, titled 'Courant Céramique' (printed by Dijkman Offset). 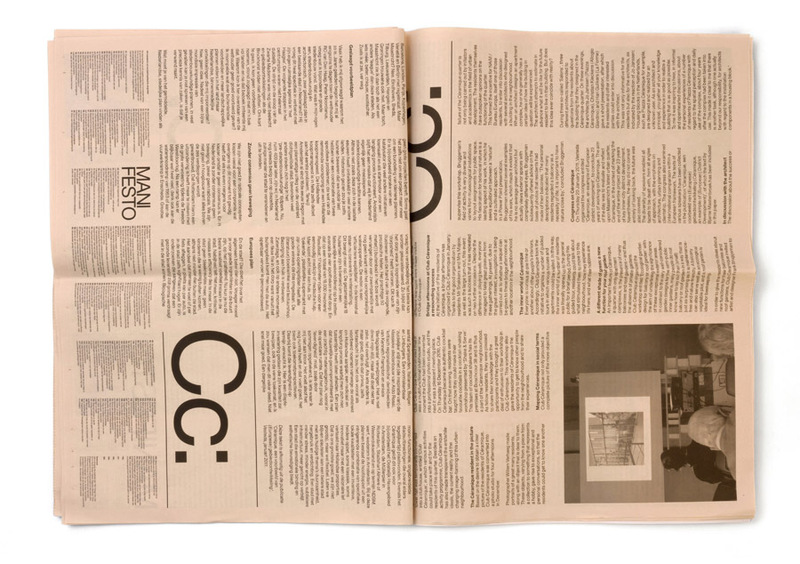 This newspaper appeared to be A3-sized, and in fact, the first few pages (featuring photographs by Johannes Schwartz and Anuschka Blommers & Niels Schumm) were A3. 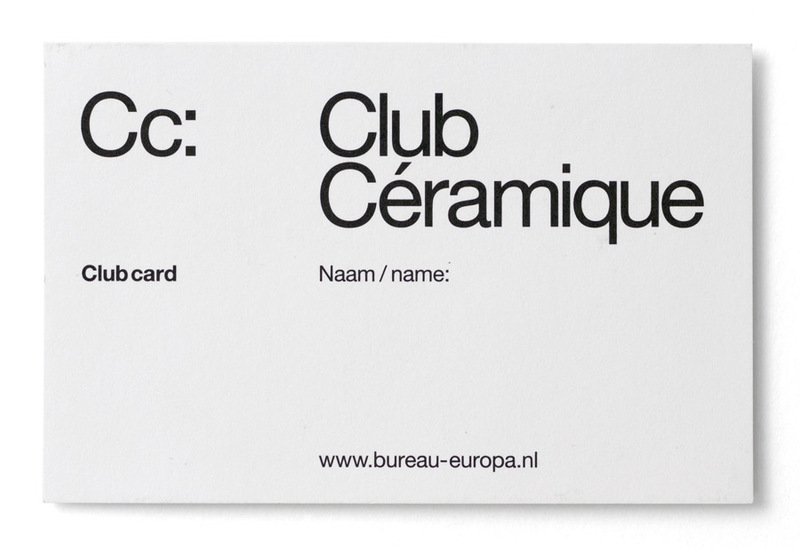 However, when unfolded, the newspaper contained an A2-sized section, printed on pink paper, containing bilingual (Dutch/English) documentation and information on Club Céramique. 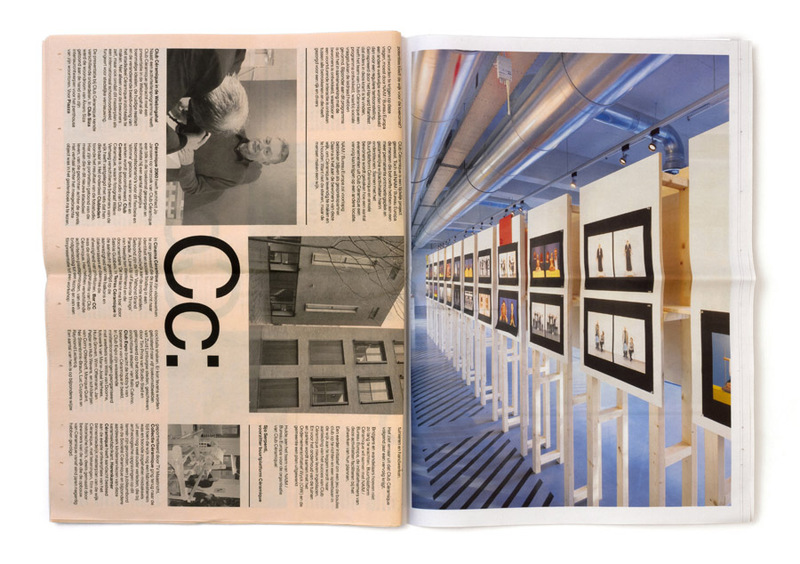 The back of the newspaper featured a floorplan, to help visitors navigate through the exhibition that took place inside the building of NAiM / Bureau Europa. While the activities and events were going on, there was also an exhibition happening inside the building of NAiM / Bureau Europa. 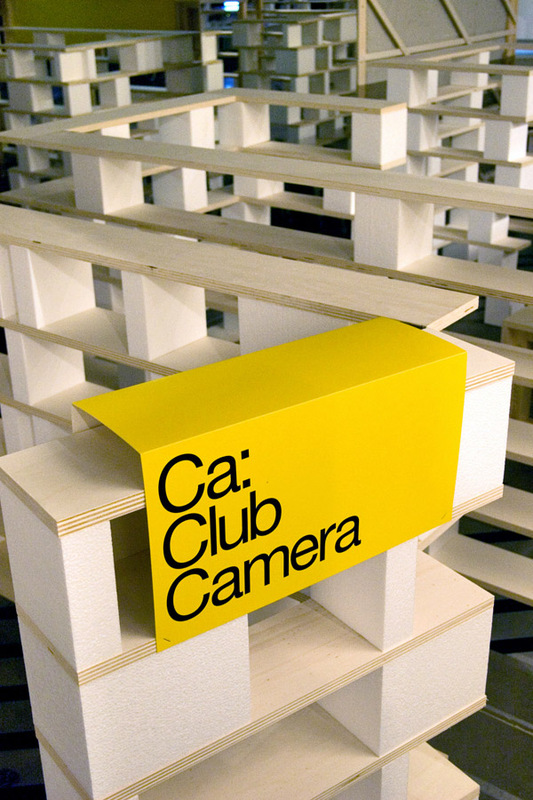 EventArchitecture built a large environment, which was basically a miniature version (or blown-up scale-model) of the Céramique area, translated into a landscape of abstract installations. 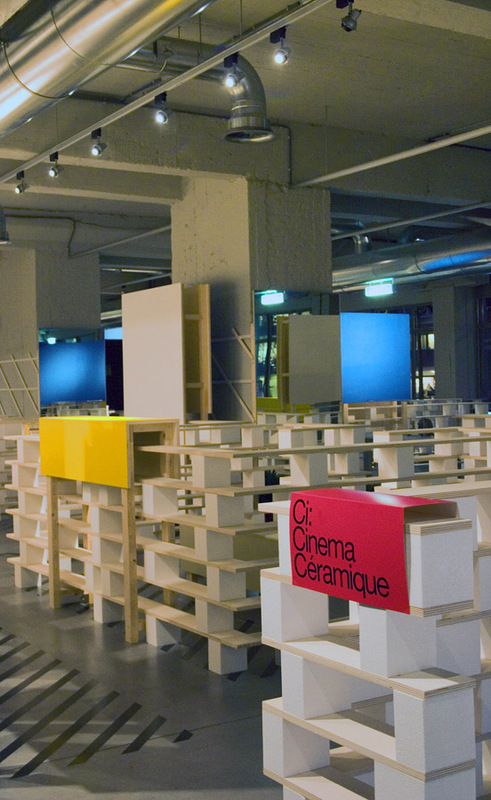 Within these installations, all the results of the neighbourhood activities were presented, together with some more general, urbanist information about the architecture of Céramique. As usual, we were asked to add a graphic layer to (or better said, to perform a graphic intervention within) this environment, to announce the titles of the individual projects. Thinking about the notion of the city as an archive, we decided to add a system of signs in the form of brightly-coloured 'tabs'. 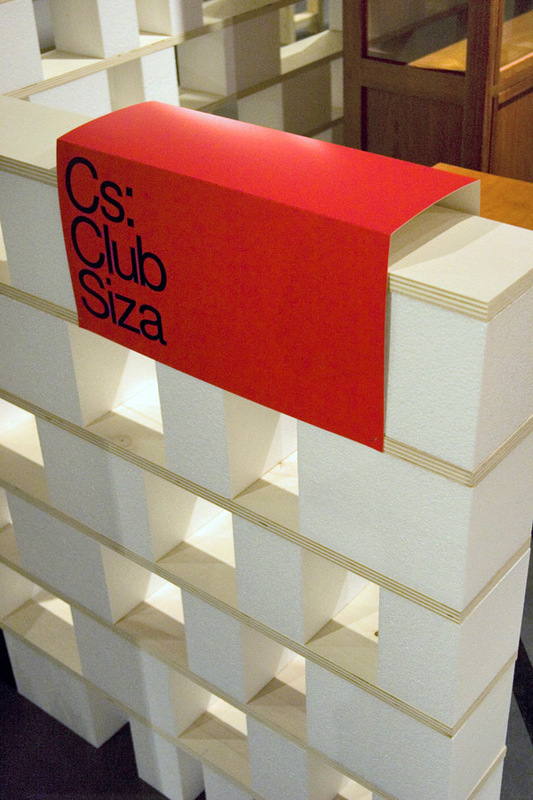 So we printed the necessary titles on coloured pieces of cardboard, and folded these pieces around the installations, in such a way that they appeared as 'tabs' (i.e., sticking out a bit). 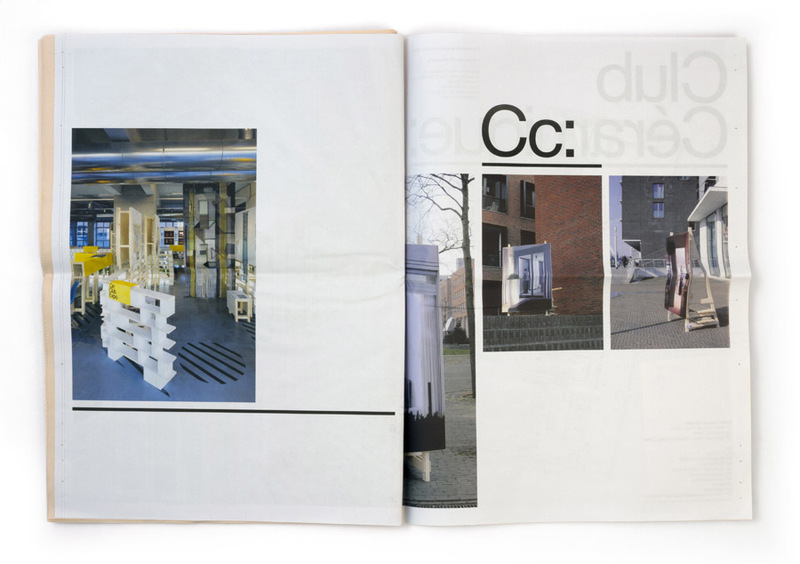 We also designed lots of items: the usual newspaper- and magazine-adverts (not shown here), a couple of website banners (not shown here), and some window typography (not shown yet). 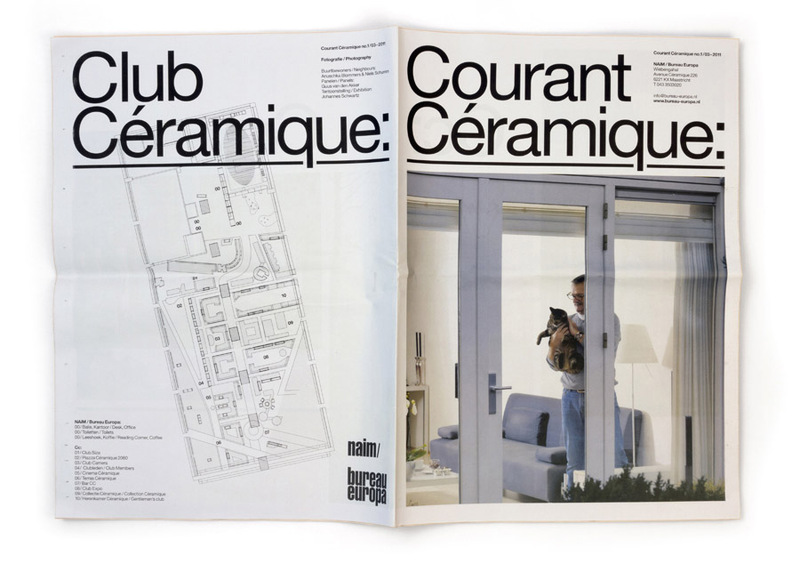 More information about Club Céramique can be found here, while the newspaper (Courant Céramique) can be ordered here.